These awards were presented at the Capgemini Global Community Engagement Awards. 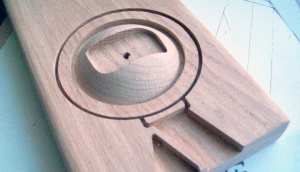 Constructed from 3D machined wood, these awards boast a contemporary design, utilising a versatile material. The finished piece uses creative engraving to make a tactile award. 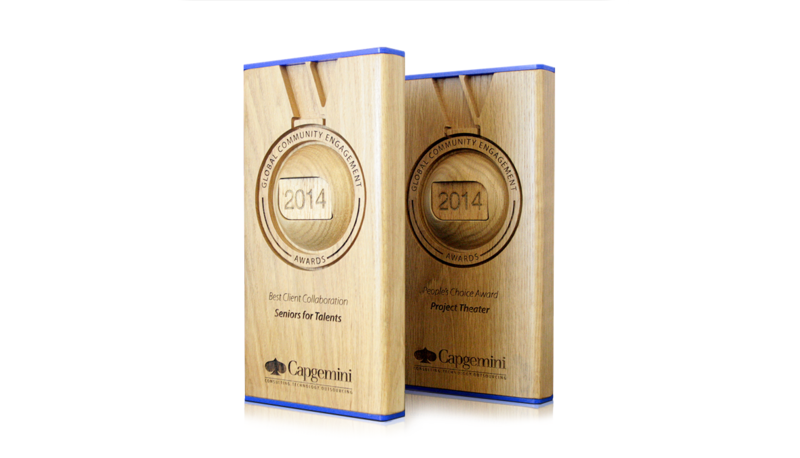 Coupled with acrylic caps for some stand-out colour, these awards are a smooth, classic design, perfect for the event.